Façades, decking, insulating structural panels and exterior doors. Garnica’s Durable range of panels is the ideal solution for construction applications thanks to its exceptional performance outdoors. Panelling, decking, guttering, façade cladding, roofing, insulating structural panels, signs or door exteriors are just a few of the infinite construction applications for which Durable is the perfect choice. We subject 100% of the plywood panel to an innovative treatment which results in a durability that equates to class 3 in UNE-335 standards, thus guaranteeing the preservation of its properties even after sanding or machining. 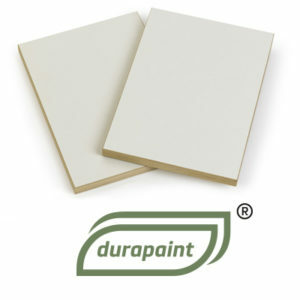 Garnica’s Duraply, Duraprime and Durapaint products are especially designed for these applications and have the CE2+ structural certification, as well as a 15 year guarantee against delamination and fungal and xylophague insect attack. Furthermore, their mechanical properties are very highly valued in this industry: lightness, dimensional stability, ease of machining and finish quality. Maximum sustainability thanks to a core composition that is based on European wood from rapid growth plantations.